No blender. No mess. Instant success. Consider your craving satisfied and energy restored with an AlpineAire Smoothie Mix. 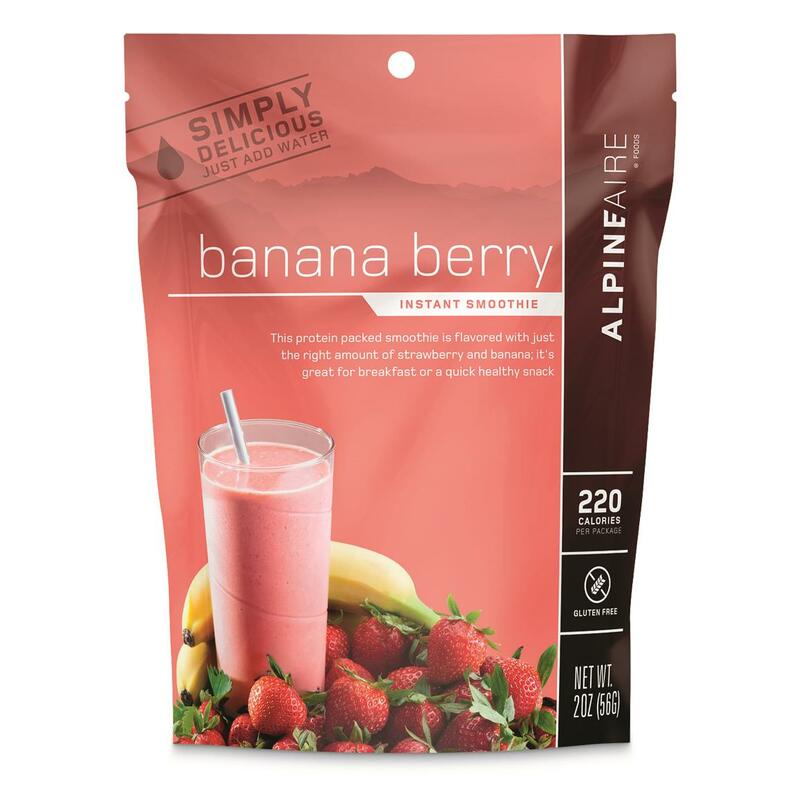 Anytime, anywhere, on any adventure, this Banana Berry Smoothie is ready when you are. 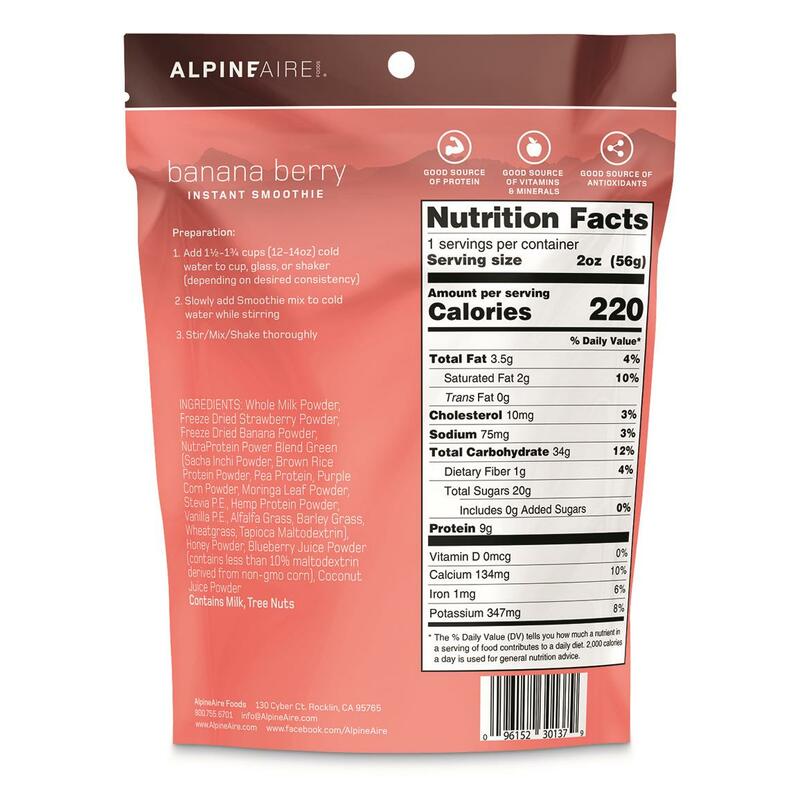 Protein-packed and flavored with just the right amount of strawberry and banana. Great for breakfast or a quick healthy snack. All-natural ingredients provide on-the go fuel for your high-activity lifestyle.